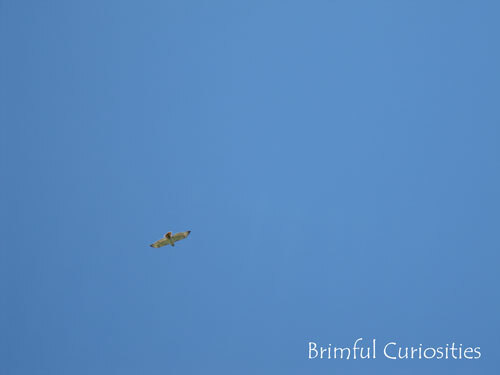 My son and I saw this hawk circling over our house yesterday afternoon. After all of our eagle studies the past few weeks, my son thought it was an eagle at first. I guess we'll have to learn about all the other raptors next and work on our bird identification skills! I'm pretty sure this one is a Red-tailed Hawk. In case you missed my Bald Eagle Activities post, here's a picture of my son comparing his armspan to the wingspan of an adult female eagle. That's a pretty awesome thing to see in the sky! I love the comparison project, very neat and concret way to do so. How very cool! When I was younger I remember visiting an aviary and finding my arms were the wingspan of a great blue heron. Funny, I have a bird post scheduled to post for tomorrow. It is so fun to watch a bird soar! 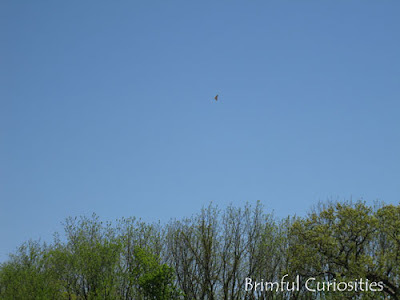 Recently we had some turkey buzzards/vultures land in trees near our house. From the ground looking at the back of them it looks the same as an eagle. how neat and it went with your lesson a few days ago.. The Farm was fun but like you said it is sad to see the little Farms go..
Good thing for the kids to study. We see eagles and hawks in our area all the time. Very cool! If you have a nature center or bird center, maybe they have raptors. We saw one recently at a f. trip. Cool pics! 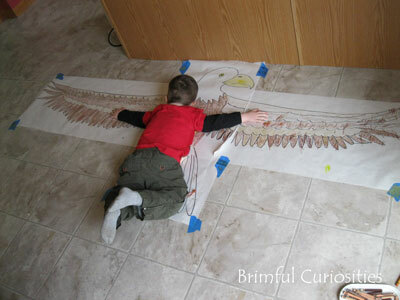 Thanks for inspiring us with the eagle activities- even though now my 7 year old wants to turn our liv. room into an eagle's nest. lol That's ok- you know we get messy in our house, too! My D would love this! 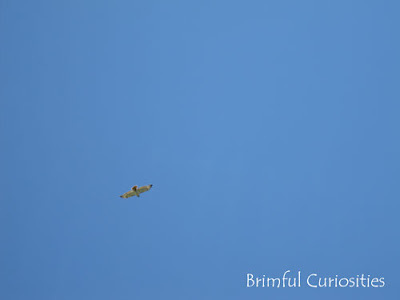 You almost need to hear a redtailed hawk to be certain. Eagles make such wimpy noises.